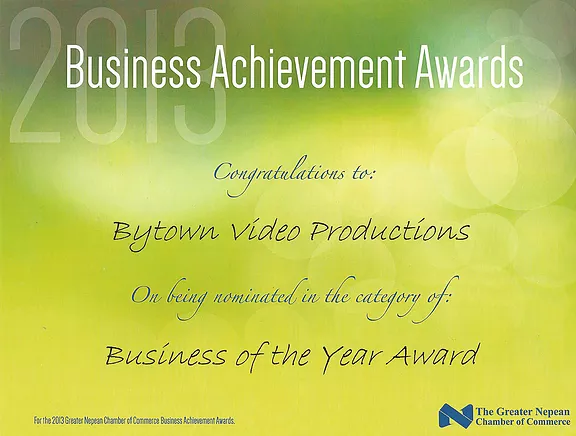 In both 2016 and 2017, Bytown Video Productions was a finalist in the Videographer Category for the Ottawa Wedding Awards. Andrew Mesley and Ryan Mantha are the winners of The 2012 Young Entrepreneur Award from the Greater Nepean Chamber of Commerce. 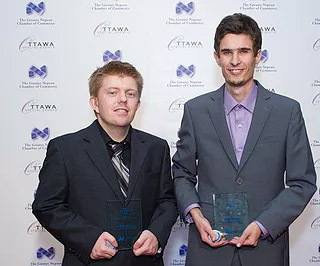 A letter of appreciation from John Baird. 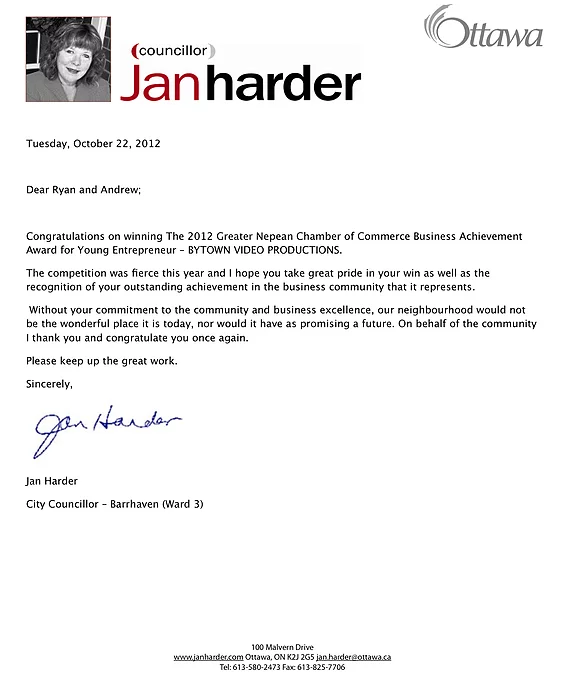 A letter of appreciation from Jan Harder. 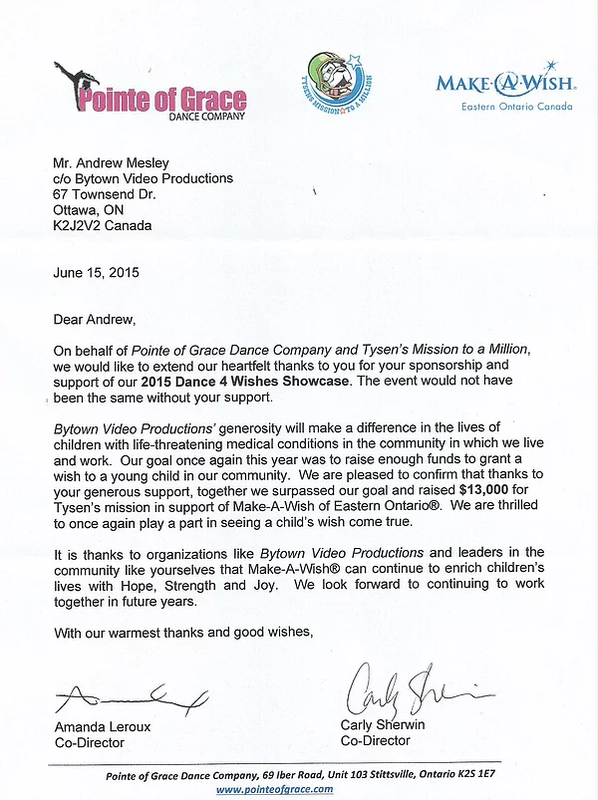 Letter of appreciation from Pointe of Grace Dance Company & Make A Wish Eastern Ontario for the 2015 Dance 4 Wishes Showcase.